Freely voided urine samples collected at the DNA Specialty September, 2009.
to learn more about this breeding program and these wonderful Dalmatians. 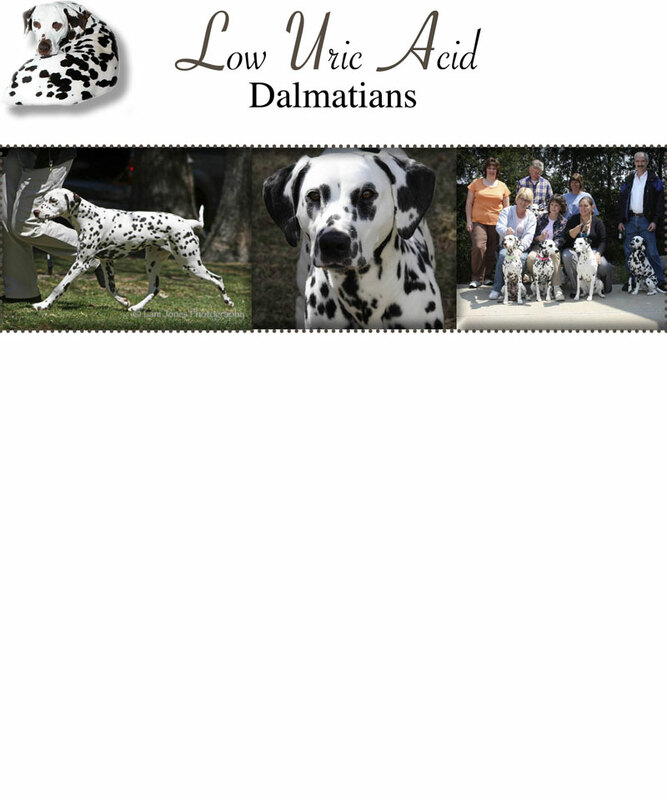 high percentages as AKC Dalmatians. "You can't build a brick house without bricks". You can't make urate stones without urates. Welcome to this website dedicated to Low Uric Acid Dalmatians. of an AKC registered Champion Pointer sire bred to an AKC registered Dalmatian dam. urinary bladder aggregate formation, stones, urinary tract obstruction and even death. This wonderful breeding prgram is presently at the 14th generation from the original cross. their DNA is 99.8% the same as AKC registered Dalmatians. 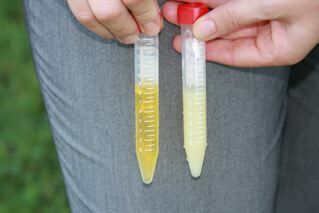 Low Uric Acid dogs (LUA) <also referred to as Normal Uric Acid (NUA)> exhibit a 10-fold lower urinary uric acid to creatinine ratio when compared to other Dalmatians with high Uric Acid (HUA). We are happy to announce that the Low Uric Acid Dalmatians have been registered by the AKC.